What’s the cost of buying a home? You’ve decided to take the plunge and buy a home so let’s get this show on the road! The next step is to talk money but, as a first-time buyer, what fees do you need to think about that might not have come to mind yet? This will normally be around 5% – 20% of the property price which you will pay upfront to your solicitor, to secure the property. You want to get together as big a deposit as possible in order to get the best mortgage rates. 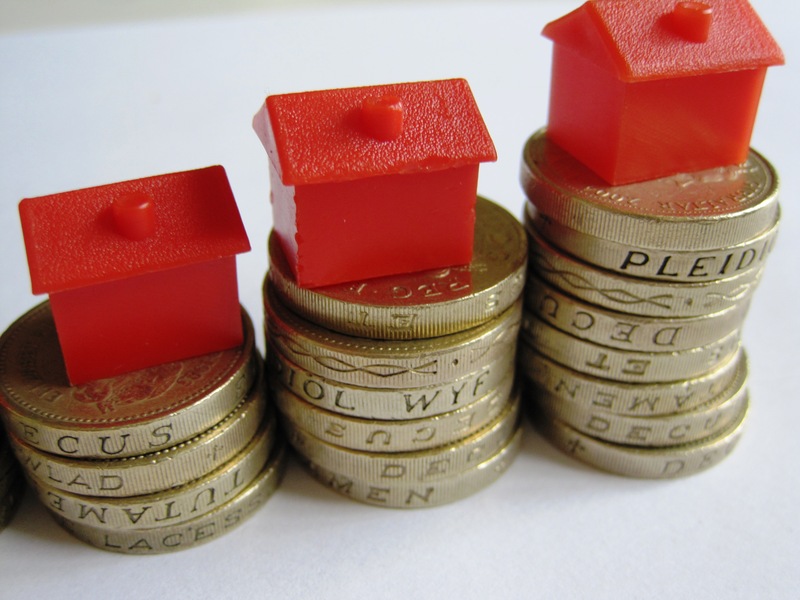 You will need to speak to a Mortgage Adviser to find out how much they will lend you. The amount will depend on your salary, the size of your deposit and credit history. If you’re not planning to buy immediately, there are several things you can do to improve your chances of getting a better mortgage i.e. you may get a better interest rate if your credit rating is better. There are many things to think about when selecting a Mortgage Adviser – such as whether to go through a broker or direct to the lender. Although their rates will be different, it is more important to look at which will support your personal circumstances the best. Regardless of whether you go through a broker or direct, the adviser should be able to present you with a shortlist of options based on your personal situation to make life easier for you when deciding which to go with. The other fees you can expect to see, at this stage of the process, are mortgage arrangement fees (which you can pay upfront or roll it into your mortgage repayments), mortgage valuation fee, broker fees and conveyancing transfer fee. Get a step by step guide to mortgages with our Mortgage Hub here. Be aware: this is the way stamp duty is calculated if this is your only home, but if it’s a buy to let investment or a second home, different rules apply. Mortgage Valuation – This is required by all lenders and is the minimum level of report required. The report checks that the property‘s cost is in line with current market values, as well as other basic checks. Homebuyer’s Report – This is a much more detailed version of the Mortgage Valuation. In this report, they will look at all visible aspects of the home and recommend changes as well as any causes for concern. This may be easiest and cheaper if you use the same person who is doing your Mortgage Valuation. Buildings Survey – This is the most detailed kind of survey. Recommended for older structures, period properties or homes which have had alterations (or which you plan to renovate), the surveyor will look thoroughly for problems with damp, within the roof and structure, rotting or with the foundations etc. They will also provide you will estimate prices for maintenance work. Remember: when you’ve received your report, don’t just put that onto your pile of paperwork – make sure you read it and understand it thoroughly before you proceed with the home buying process. A solicitor will be needed to help with the legal side of buying a home and may offer other services, such as local searches – which check out if there may be any local plans or issues going on which could affect you as a prospective owner. They will also charge for solicitor fees, disbursements and Land Registry fees – so these fees could rack up. Have a look at this calculator to see what your expected legal fees could be. It is, again, important to do your research into several solicitors to pick the right one for you. The more expensive ‘no sale, no fee’ option is great for protecting yourself incase the sale falls through or you could get a much cheaper option but you will still have to pay their fees if the process is halted. Also, do you want a local or a call centre-type service? A local solicitor may be slightly more expensive but they may have more local knowledge and you can go in and pester them if you want to push the process along! That’s a blog for a different day, but you’ll need to keep some funds aside for removals companies (use our local removals tool here), ground rent if you’re buying a leasehold flat, the cost of changing the locks and house insurance, once you move. There may seem like a lot of costs here, but it’s best to know what you’re dealing with and what the options are upfront, so you can make sure you have saved enough before you start and you don’t have to cut corners. It also means you can do the necessary research and know your options when it comes to picking solicitors and mortgage advisors. Why not print this list off and tick them off as you go along? Good luck with your move!